Back in August I received an email, and it was a good thing that I was sitting down, because I couldn’t believe what I was reading. Jaime from Planned Television Arts had contacted me to ask if I would like to host today’s guest? Would I? You bet I would and I fired off an email right away!!! So it is my honor and pleasure to have as my guest today, the famous, renowned and multi New York Times Best Selling author, Ms. Diana Palmer!!! 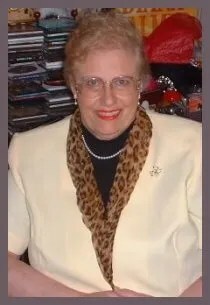 Diana Palmer is renowned as one of North America’s top ten romance writers. When she published her first novel in 1979, fans immediately fell in love with her sensual, charming romances. She has devoted herself to a life filled with romance and penning the page-turners her readers find so hard to put down ever since. A die-hard romantic who married her husband five days after they met, Diana says that she wrote her first book at age thirteen—and has been hooked ever since. Palmer currently lives in northeast Georgia with her husband. You can visit Ms. Palmer at her website here. When I started writing my 2011 hardcover, MERCILESS, from HQN Books, I didn’t plan to write another murder mystery. In fact, the murder in this book was supposedly solved in last year’s hardcover, DANGEROUS. The family of McKuen Kilraven, who worked for a federal agency as an undercover officer, was murdered seven years earlier. In DANGEROUS, the killer was unmasked and the case solved. Or so I thought. Don’t get the nets. This happens to authors. Well, it happens to me. I had this character, Cash Grier, who turned up as a cyber detective for San Antonio PD some years ago. He refused to leave, so he became the subject of one of my best-selling hardcovers, RENEGADE. He still turns up in books today because I can’t get rid of him. problems. I had planned a straightforward romance, just a romance, with a secret that Jon’s sharp-tongued administrative assistant was keeping from him to add spice to the mix. She had his vicious mother tongue-tied, and often caused Jon to throw books at the door she’d just left. She was a character I had loved for a long time, and this was going to be her book, her story. Then the murderer took over the action and I had a problem. But when I started looking deeper, I realized that I hadn’t actually resolved the entire case. There were loose strings. Just enough of them to justify an additional shooter. Then things got very interesting and I started forgetting to cook supper for James. God bless him, my husband has the patience of a polar bear waiting for a seal to show up. If you watch nature specials, you know what I mean. Anyway, he went out and got wonderful food for us, although I confess I was working too hard to taste much of it. got justice, Jon’s mother underwent a conversion of attitudes, and I had a book that I was very proud of. I love policemen, of all shapes and sizes and sorts and sexes and whatever. I love people in law enforcement, period. So this is why I write so many books that deal with crime solving. I knew a detective once who tracked down a vandal with nothing but a piece of eggshell. That sort of thing amazes me. All the new technologies that are used in crime scenes are equally amazing to me. I guess curiosity is what keeps me going in the romantic suspense field. That, and watching the movie “CHARADE” with Cary Grant and Audrey Hepburn about a million times back in the 60s. I hope you like MERCILESS. I am getting older and I make more mistakes than I used to, but I hope I never have to stop writing. I have the best family on earth. I also have the best readers in civilized space, and I love every one of them. Whatever success I have achieved, my readers have made possible, and I never lose sight of that fact. Thanks, all of you, for making Diana Palmer possible. 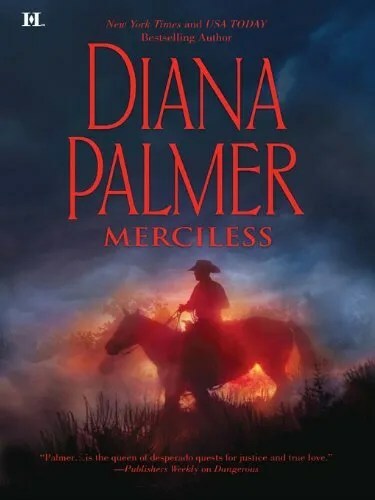 Merciless tells the captivating story of a young woman trying to convince a man to let down his defenses while he’s set on guarding his heart. Not only is FBI agent Jon Blackhawk tall, dark, and handsome, but he is eligible – and that’s all that matters to the women of Jacobsville. But if it were up to him, he would never settle down. Luckily, Jon has the best gatekeeper: his assistant, Joceline Perry. Without her help, he’d be at the mercy of husband hunters. The more he comes to rely on her, the more he notices how invaluable she really is.